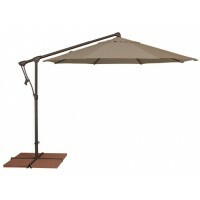 Can you say mega shade? 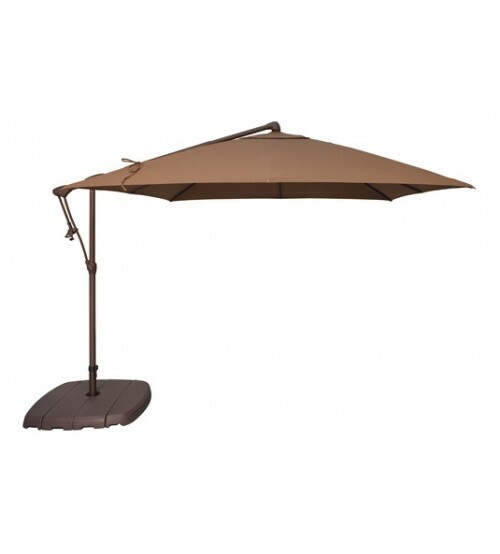 We can with Treasure Garden's beautiful 10' octagon cantilever umbrella. 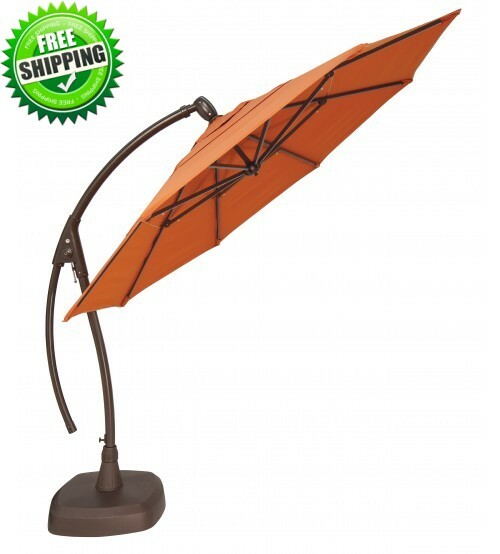 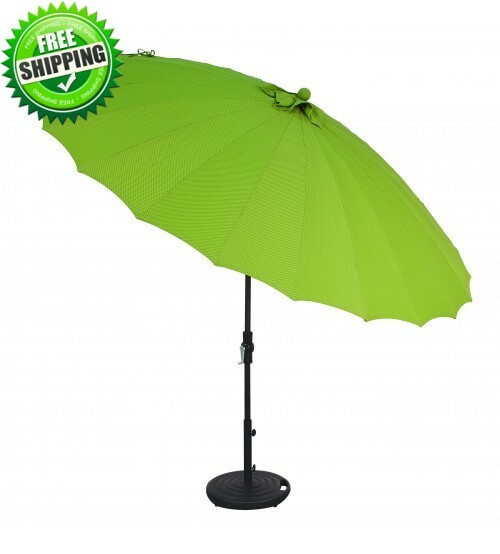 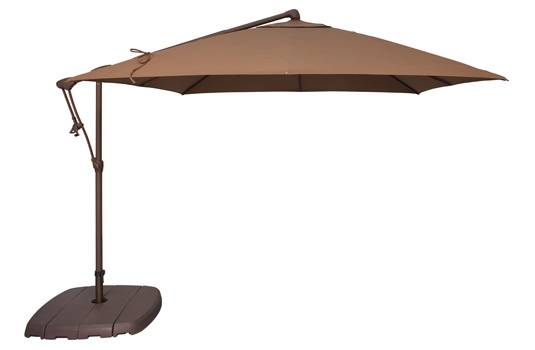 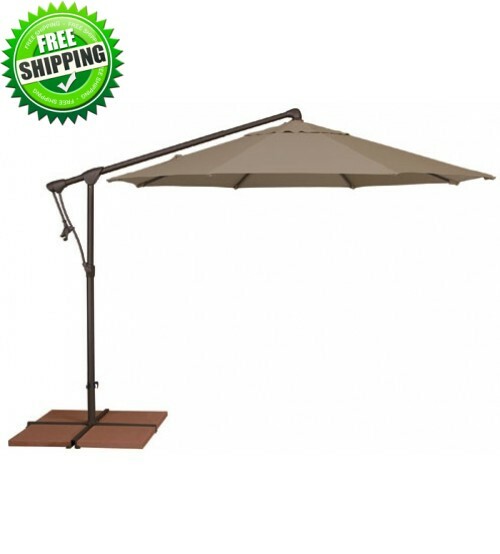 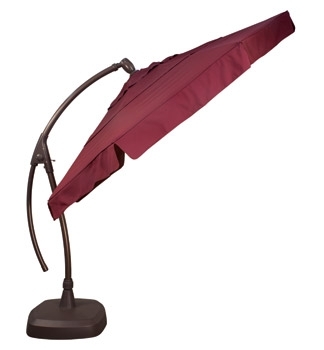 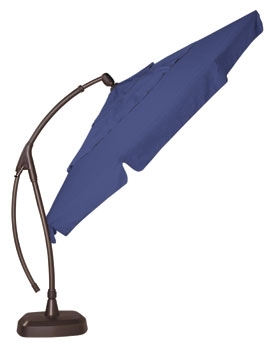 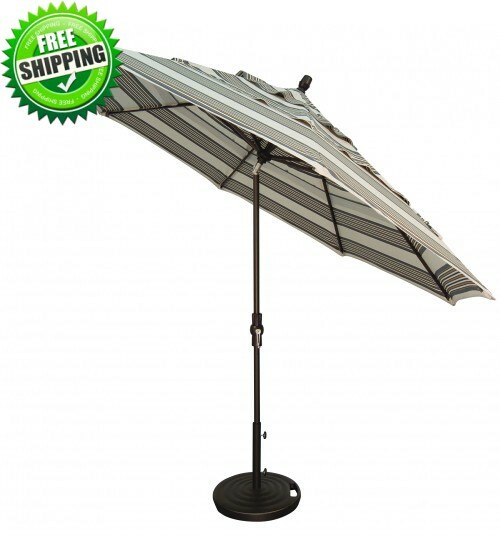 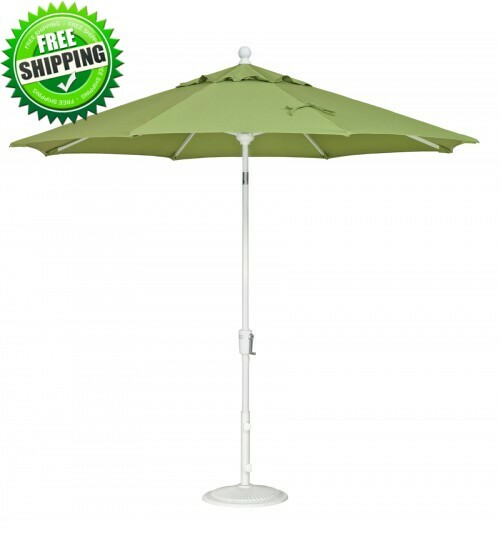 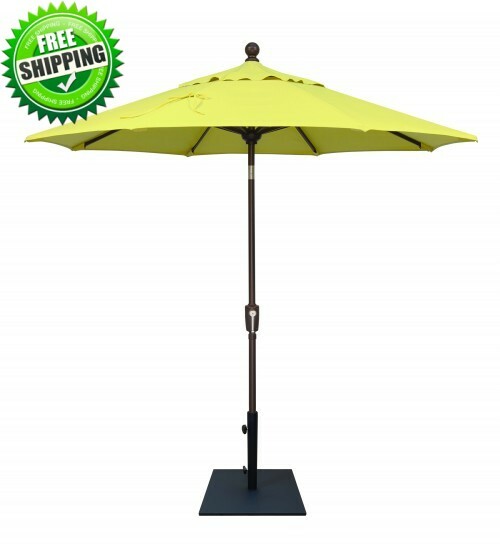 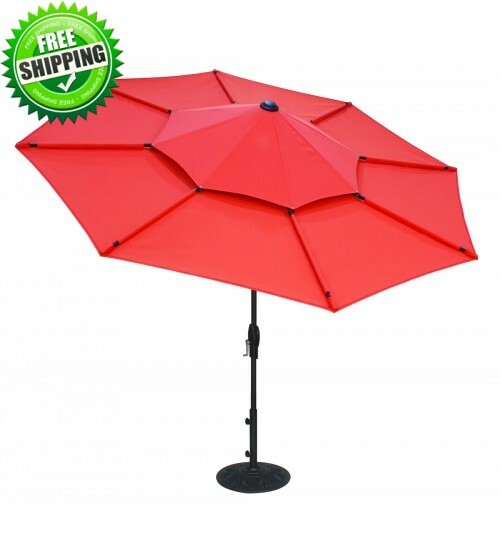 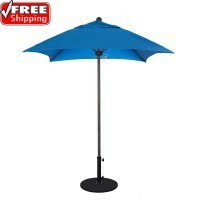 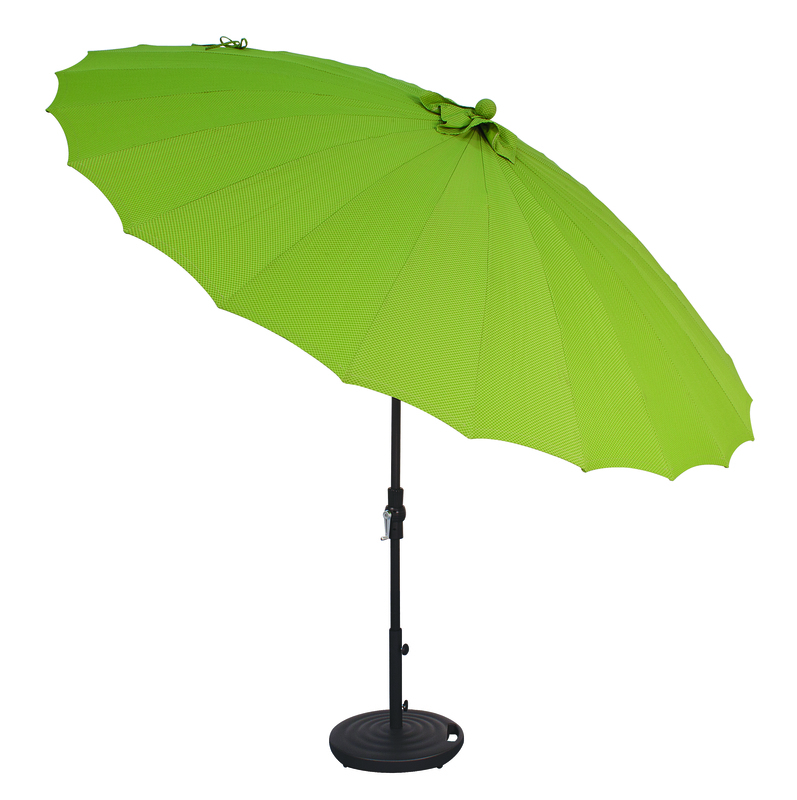 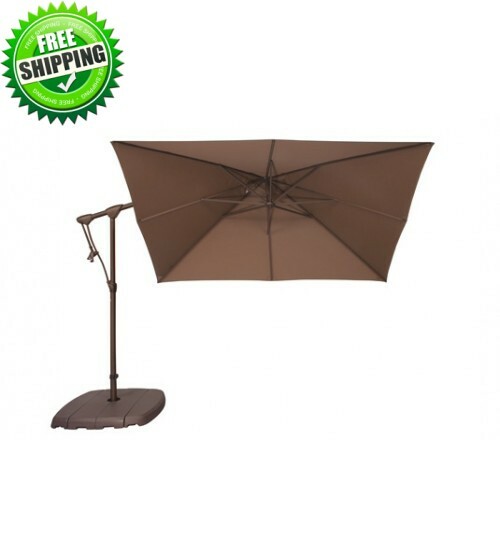 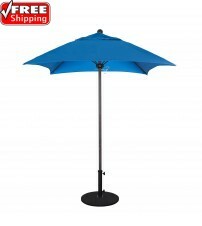 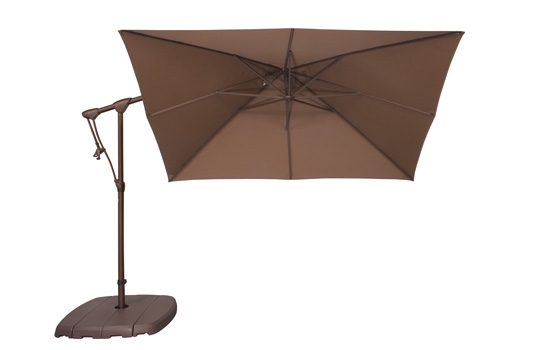 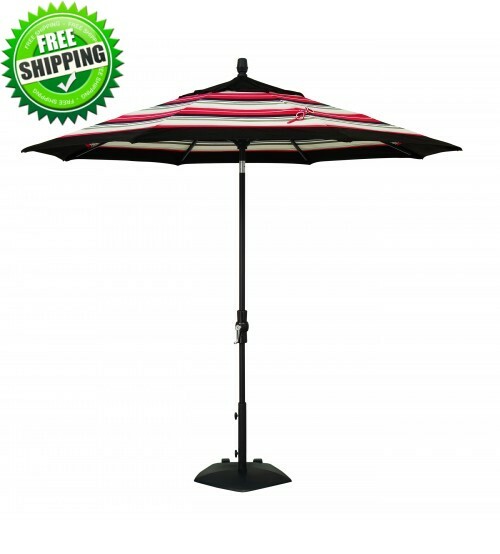 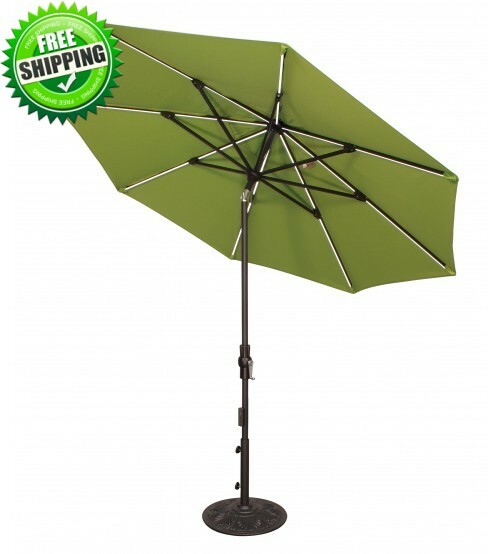 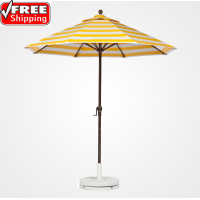 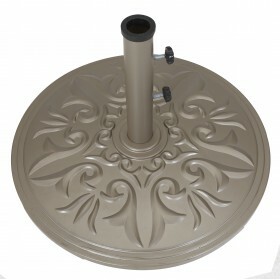 This easy opening umbrella is crank lift operated, and with the convenient foot pedal you can rotate your shade 360 degrees to meet your every shade need. 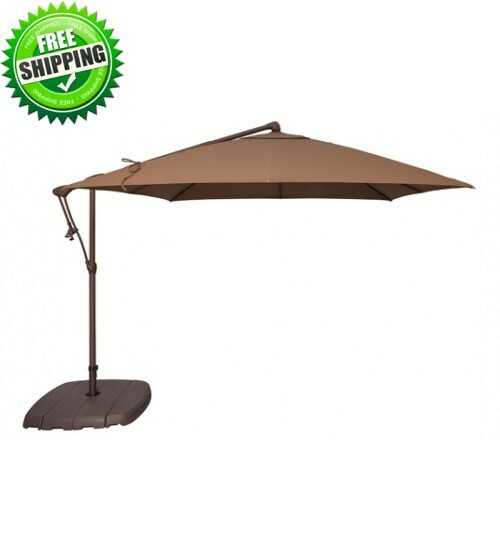 Its patented easy lift open and easy tilt features allow for easy open, close, and tilt operation. 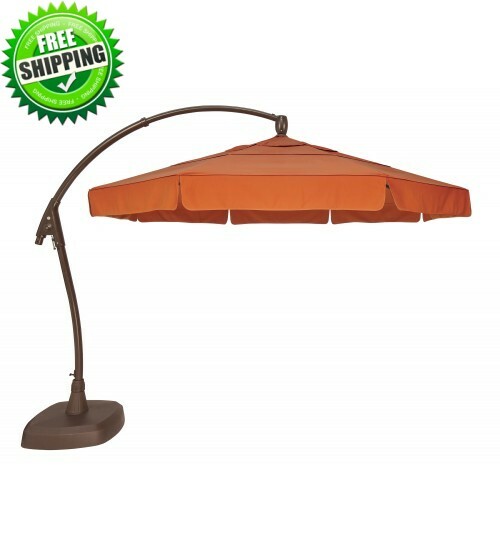 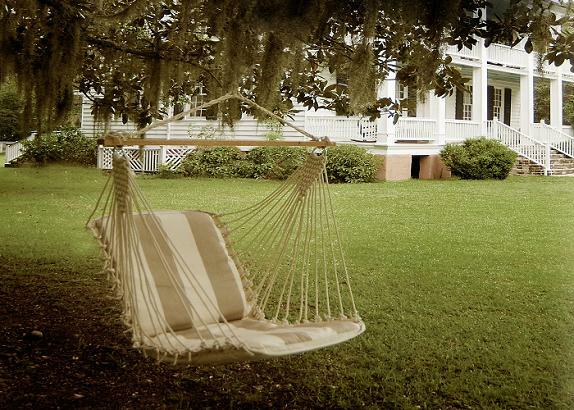 Create an open, shaded setting without the use of a traditional center pole, providing the perfect solution for sunny outdoor entertainment. 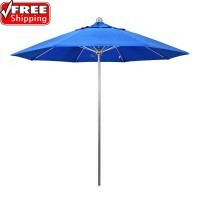 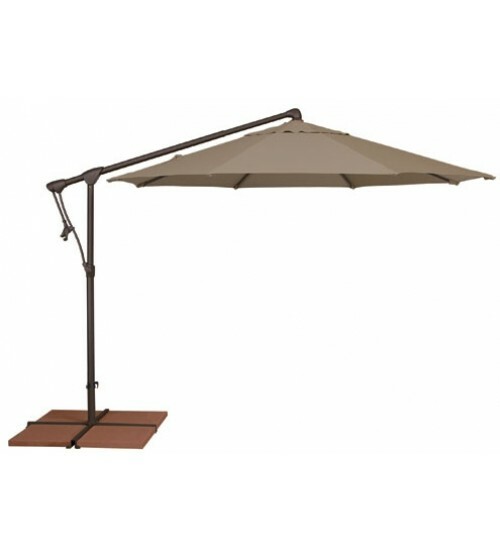 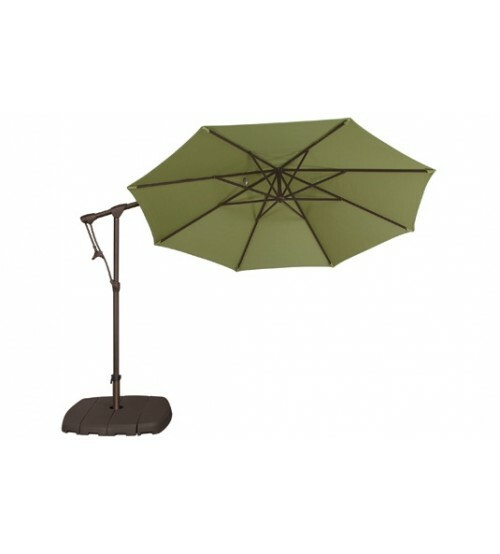 The AG19 cantilever umbrella easily tilts left and right up to 90 degrees. 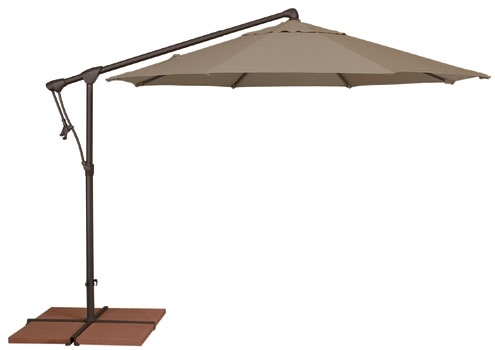 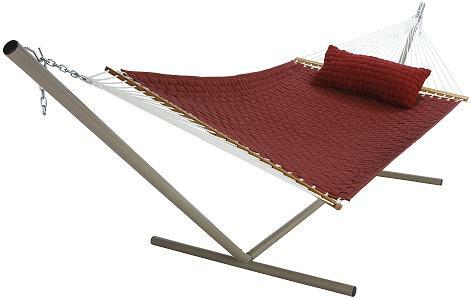 More options include a large selection of Sunbrella, Outdura and O'bravia fabrics and two frame color choices: bronze or black. 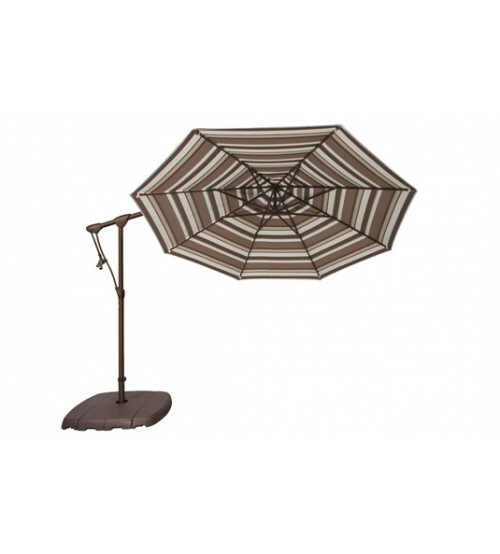 So create your own custom umbrella to match your custom style. 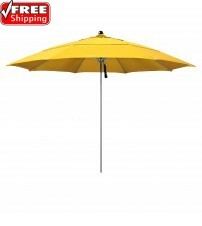 Custom order, please allow 4 weeks for production (may be long during peak season). 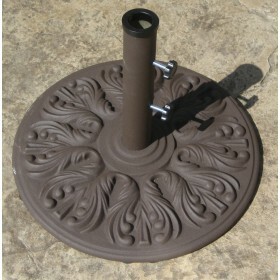 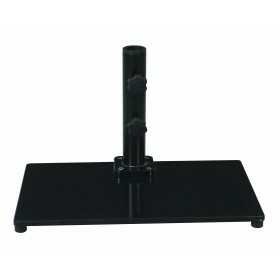 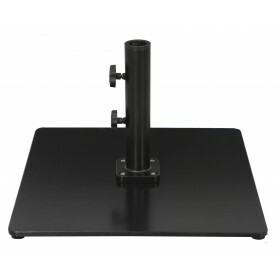 Cross-bar stand dimensions 20" x 20" x 1.5"